Ahead of its UK release, here's the trailer and poster for the upcoming true life courtroom drama. 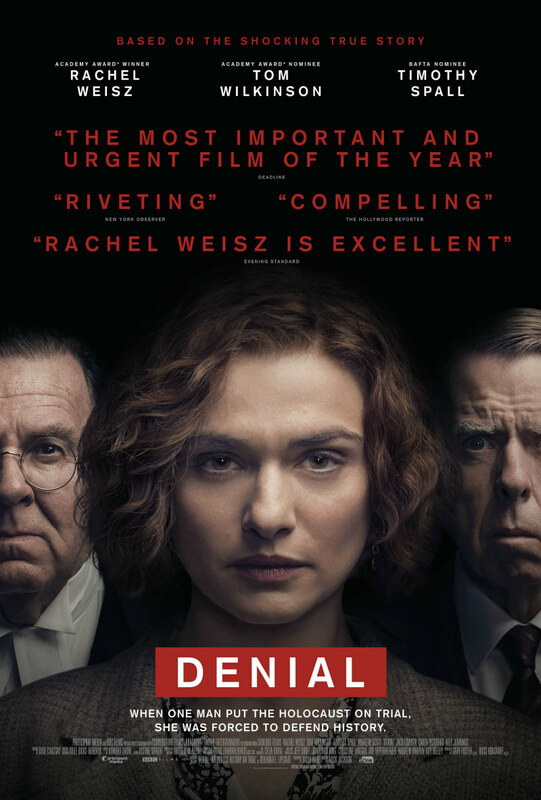 Based on the acclaimed book Denial: Holocaust History on Trial, Denial recounts Deborah E. Lipstadt’s (Academy Award winner Rachel Weisz) legal battle for historical truth against David Irving (BAFTA nominee Timothy Spall), who accused her of libel when she declared him a Holocaust denier. 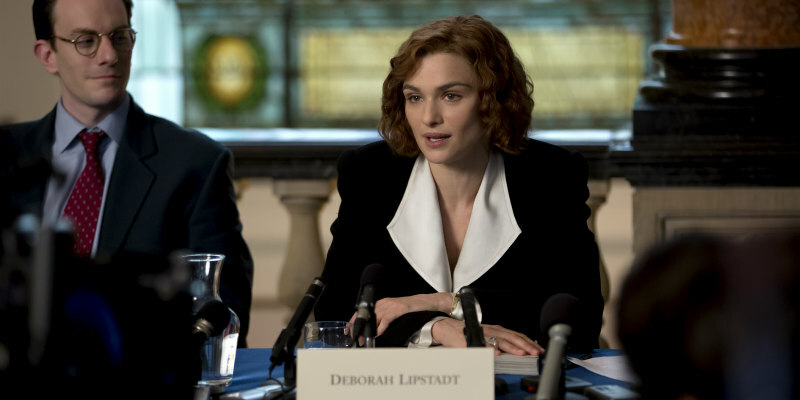 In the English legal system, in cases of libel, the burden of proof is on the defendant, therefore it was up to Lipstadt and her legal team led by Richard Rampton (Academy Award nominee Tom Wilkinson), to prove the essential truth that the Holocaust occurred. Denial will be released in cinemas on January 27th 2017.